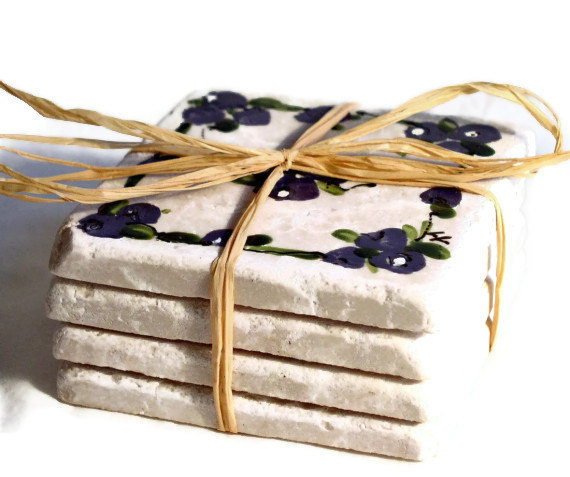 Painted Travertine Marble Coasters Set of 4 measures 4"sq. and I used specialty paints for the blueberry design that is baked onto the marble making them very durable. Cork dots will help to protect any surface you use these on. These tiles can be incorporated into your tile work as accent pieces. 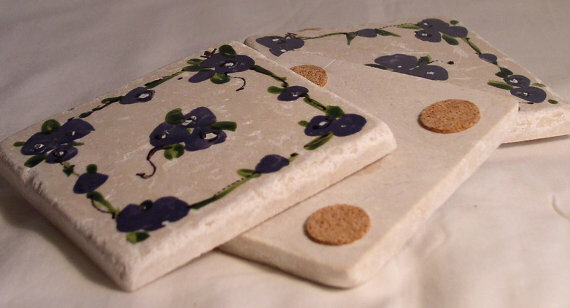 I just think they are fun coasters and make excellent hostess gifts. The shipping prices are United States $16.13 USD This item only ships to the USA due to the weight.